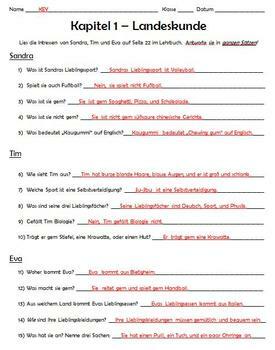 Use this worksheet to go along with the Chapter 1 "Landeskunde" on page 22 of the Komm Mit! Level 2 textbook. 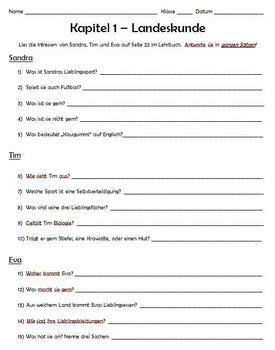 The teacher's materials do not provide an advanced reading comprehension worksheet like this, so I made my own to challenge students' reading and writing skills. Good for extra credit!